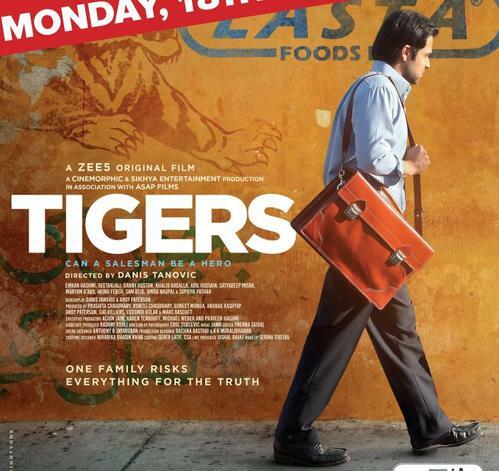 Tigers is an award-winning, 90-minute feature film by Oscar-winning director Danis Tanovic. The film dramatises the true story of Syed Aamir Raza, who worked as a baby milk salesman for Nestlé in Pakistan. Aamir took on the baby food industry with the help of IBFAN after he realised the death and suffering caused by pushing baby milk. Tigers shows how corporations use sponsorship to buy loyalty and how far they will go to stop the truth being told. "Tigers... A Roaring Success", The Express Tribune. "Writer-Director Danis Tanovic explores the power of multinationals, the media and ethics in a finely crafted true-life story. ", The Hollywood Reporter. Baby Milk Action IBFAN UK.